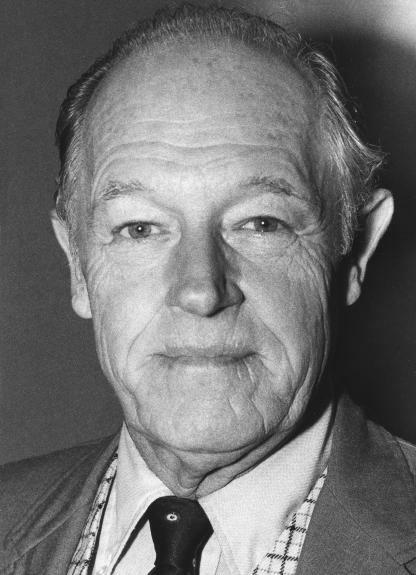 Everette Howard Hunt was born in October 1918, in Hamburg, New York. He would go on to lead a life which perhaps more than any other represents the darker truths underpinning the history of the 20th Century. He would become known as E Howard Hunt, or just Howard Hunt, an author of spy novels, CIA agent, Watergate burglar and eventually John F Kennedy assassination accomplice. The true life legend that is his biography lives on, as do the debates about many of the events with which he was involved. Hunt graduated from Brown University in 1940, and shortly afterwards joined the US military to fight in World War 2. He served in the navy and air force, before getting involved with the Office of Strategic Services. The OSS was a nascent proactive military counterintelligence agency, and was effectively reorganised after the war had finished to become the Central Intelligence Agency. The National Security Act of 1947 solidified a process that had been happening for some time in the United States. Ground was broken for the construction of the Pentagon on September 11th 1941, a symbol of the development of a permanent large scale military industrial complex in America. The National Security Act set up America's first peacetime intelligence agency - the CIA - and merged the Department of War and the Department of the Navy into one entity, the National Military Establishment. Two years later, this would become the Department of Defense. It also created the Joint Chiefs of Staff, and took effect on September 18th 1947, the same day that the first US Secretary of Defense, James Forrestal, took office. It was signed by President Truman, a 33rd degree freemason, aboard the Presidential aircraft Sacred Cow, the prototype for Air Force One. However, this is profoundly contrasted by somewhat substantiated claims made during Forrestal's lifetime by journalists including Drew Pearson. Forrestal's background was in the same elite banking circles (he was also a corporate lawyer) as the stories above say he was warning Roosevelt against. During his time at Dillon, Read and Co the firm loaned considerable money to Germany, which helped revive the industries that formed Hitler's war machine. Anthony Sutton's Wall Street and the Rise of Hitler details Dillon, Read and Co loans of over $70 million dollars to German industrial cartels and 'Participation in German industrial issues in [the] U.S. capital market' of around a quarter of a billion dollars. The firm were also a Big Oil banker, and during Forrestal's tenure in charge of procurement and production for the US Navy in World War 2, he vastly overpaid the Arabian-American Oil Company to fuel the ships. The same Arabian-American Oil Company that was controlled through the Rockefeller family's Standard Oil monopoly. Was he a genuine whistleblower, or a shill, or a depressive? There are other allegations. Forrestal opposed the partitioning of Palestine to create the Jewish State of Israel. Some consider this to also be a concession to the oil barons who had more to lose through alienating oil-rich Arab states through the creation of Israel than they did to gain from it. However, many of those same oil barons, and the bankers who form part of the same group, were and still are Jewish Zionists. Sometimes, religious conviction outweighs the desire for money and power. So it is hard to say whether Forrestal's opposition to the creation of Israel would have been seen as useful or problematic by those elite powers. It is thus a leap too far to isolate this as the reason for murdering him. The most esoteric of all the Forrestal murder-suicide theories is that he passionately opposed the secrecy of the MJ-12 group who were looking into UFOs and extraterrestrial life. William Cooper claims that this is the reason Forrestal was sectioned and imprisoned in a naval hospital, and notes that the day before his death his brother had notified authorities of his intention to remove James from Bethesda. This conjunction of an immense military establishment and a large arms industry is new in the American experience. The total influence economic, political, even spiritual is felt in every city, every Statehouse, every office of the Federal government. We recognize the imperative need for this development. Yet we must not fail to comprehend its grave implications. Our toil, resources and livelihood are all involved; so is the very structure of our society. If Forrestal's comments to Roosevelt were blowing the whistle, then Eisenhower's farewell address was blowing a trumpet. It was during the Eisenhower presidency that Howard Hunt participated in perhaps the textbook example of a CIA-sponsored coup. As the OSS became the CIA, its staff were almost entirely comprised of people who had fought counterintelligence battles during the war. Though the USSR and the Warsaw Pact presented a somewhat different challenge, the likes of Howard Hunt and Allen Dulles proved themselves capable Cold Warriors. Guatemala in the years leading up to the 1950s was politically unstable, a succession of regimes had been quickly installed and removed and the weakness of the state apparatus had allowed the United Fruit Company to dominate the country. John Perkins' Confessions of an Economic Hit Man discusses the influence of the 'corporatocracy' on this part of the world in detail, as he worked there for years. The incremental colonisation of Guatemala by United Fruit definitely fits the profile he describes. The company owned vast tracks of land in the essentially agrarian country, and also the railways by which the produce was moved about, and the ports by which it was exported. Guatemala was the epitome of a 'banana republic': The people were poorly educated, there was little by way of national independent media, but they tried to stand their ground in the face of an economic and political invasion by a US company. They elected Jacobo Arbenz, a middle class man of Swiss heritage who promised massive economic reform. He assumed control in March 1951. Arbenz issued Decree 900, the land reform bill. It enabled the government to seize uncultivated land from large plantations and turning it over to peasant farmers. Even Arbenz gave up land himself. While this may sound like communism, Arbenz was only influenced by Marxism. He still believed in private property, and the peasants to whom the land were given were to be private farming landowners able to sell their goods for a profit and potentially buy more land or advance their lives in other ways. Arbenz wasn't a member of the Communist Party, he had no significant association with the USSR. However, United Fruit were mightily angry because he took over 200,000 acres off them and paid approximately $600,000 for it, in 25 year government bonds. This sort of 'play you at your own game' economic strategy is very similar to what Hugo Chavez has been doing in Venezuela. Arbenz paid what the company declared the land was worth for tax purposes, though when the US State Department got involved they were throwing around the figure of $15 million. Given that United Fruit barely paid for the land in the first place as far as I am concerned they were lucky to get the $600,000. If Arbenz was a 'proper' communist he probably would have had them shot. So, United Fruit enlisted the help of the US State Department and the CIA. There were obvious reasons why their pleas found receptive ears. Allen Dulles, the director of the CIA, was a former President of the company's board, and a stockholder. His brother John Foster Dulles, Sec. of State, had worked as the company's legal counsel. Walter Bedel Smith was on the company's board of directors throughout this period, during which he was director of the CIA up until February 1953, when he was replaced by Allen Dulles and took the job immediately under John Foster Dulles at the State Department. Smith also helped found the Bilderberg Group and the National Security Agency. Ambassador to the UN Henry Cabot Lodge Jr. was a stockholder, as was Assistant Sec. of State for Latin American Affairs, John Moors Cabot. Just in case that wasn't enough, Eisenhower's personal secretary Ann Whitman was married to United Fruit's chief of Public Relations. A fuller story of the coup that overthrew Arbenz and replaced him with a military dictator called Castillo Armas is told by the CIA's declassified documents. Over 14,000 pages explain how they recruited Armas to lead a small band of rebels and mercenaries and used covert and overt propaganda to spread distrust of Arbenz within both Guatemala and the US. Hunt played a central role as Chief of Propaganda for the operation, codenamed PB/Fortune and later PB/Success. In his memoir American Spy, Hunt describes his unease at being United Fruit's 'lapdog' but says he says the issue of 'stopping the spread of Communism' motivated him to take up the role offered to him. The operation was heavily leveraged - the army under the command of Armas numbered less than 400, and possibly even less than 200. If it had come to a direct military confrontation, Arbenz's army would definitely have won. However, the propaganda achieved two key purposes, enabling the coup attempt to succeed. Firstly, it focused on the rural population who had most benefited from Decree 900, portraying Arbenz as untrustworthy, a Soviet puppet, and a traitor. This was Arbenz's electoral base, but as the pots and pans tactic demonstrates, large numbers were turned against him. The propaganda also convinced Arbenz that the tiny army led by Armas was much larger and posed a realistic threat. On 'D-Day' this impression was exacerbated as ex-WW2 bombers piloted by CIA agents attacked Guatemala City. They dropped bombs, lumps of explosive attached to hand grenades, bottles filled with gasoline, and even empty Coca-Cola bottles. Anything that would make a noise and give the appearance of a much larger attacking force. In the end, Arbenz resigned and fled the country while Armas's army sat about in a small village just inside the Guatemalan border with Honduras. They smoked cigarettes, told jokes, leered at the locals and showed off a Guy Fawkes-style effigy of Arbenz to the press. The crude dummy had a sign hanging around its neck saying 'go back to Russia'. This was a tiny part of what was an elaborate PR campaign designed just as much for the US population as it was for the Guatemalans. The faction leading the coup hired Tommy the Cork - Thomas Corcoran - a 'superlobbyist' who set about drumming up support in the US congress for the ousting of Arbenz. They also recruited Edward Bernays, who took a group of journalists to Guatemala to meet with anti-Arbenz officials who told them horror stories which they naively repeated in their articles. Once Arbenz had been ousted the propaganda continued. Armas was invited to America, given a tickertape parade in New York City and awarded honorary degrees by US universities. Not long after, the US sent in Vice President Richard Nixon. Ironically, his role was effectively subservient to the program devised by Hunt, who as one of the Watergate burglars would also be partly responsible for the downfall of the Nixon presidency. Nixon flew into Guatemala and held a press conference with Armas, offering a public US endorsement of the new leader. They showed off Communist leaflets and books supposedly found in the Presidential palace, claiming this proved that the Arbenz 'regime' was 'controlled by foreigners' i.e. by the Soviets. Nixon praised Armas as a popular revolutionary and a democrat, though at the election which saw Armas returned as President, he was the only candidate. However, given some of Nixon's public statements he probably considered this a 'white lie'. In an amusing footnote, Hunt's CIA career took him to Uruguay some years later, where he lived just down the road from the exiled Arbenz, even meeting him occasionally at diplomatic functions. The next major operation in which Hunt was involved was the notoriously scandal-ridden Bay of Pigs affair. In 1959 Fidel and Raul Castro overthrow the dictator Fulgencio Batista after two years of guerilla warfare fought from the Sierra Maestra mountain range. The CIA even provided some funding to Castro's rebels, among them Che Guevara, to try to get intelligence on the progress of the struggle. After the coup, Richard Nixon went to visit Fidel in Havana, and they had an apparently intelligent, peaceful exchange. However, as Castro later mentioned in an interview with highly respectable journalist Bill Moyers, Nixon wrote a memo to Eisenhower as soon as he returned to Washington. According to Castro the memo said that he was 'a Communist' who 'had to be eliminated'. Nixon's memo summarising his meeting with Castro, available courtesy of the National Security Archives, doesn't say this explicitly. However, it does liken Castro to Sukarno, the popular quasi-socialist leader of Indonesia who was overthrown in a CIA coup in 1965. It says Castro is 'naive' about Communism or 'under Communist discipline' and that he showed no concern about Communism coming to power in China. Nixon's concern is clear, and he went on to be a 'strong supporter' of the CIA's attempt to oust Castro. The CIA recruited Castro's sister to inform on how the nascent government was developing. However, it appears Cuban machismo may have kept her in the dark about Cuban counterintelligence, which functioned very well. Thousands of Cuban citizens had fled the country not long after the regime, including many who had supported Castro and felt betrayed by him as he sought to take wealth and power from the middle class. They became exiles in Miami and this is where Howard Hunt came in. As the CIA trained a couple of thousand men in a camp in Guatemala to conduct the paramilitary operation, Hunt was in Miami in charge of the political operation. His job was to find a way to unify the hundreds of disparate Cuban exile groups, some consisting of only one or two people, under one leader. He chose Manuel Artime, a well educated man in his 20s, who would help lead the new government once Castro was toppled. However, the coup attempts failed for a dozen different reasons. Though the CIA had recruited Castro's sister, they had very little by way of reliable intelligence on the domestic opposition to the Cuban government. The exiles in Miami boasted of having far more contacts and support on the island than they actually had, as the more important they made themselves out to be the more money the CIA threw at them. Hunt developed strong relations with the Cubans, and when the invasion at the Bay of Pigs failed he sympathised with the Cuban sense of betrayal by President Kennedy. In particular several of his close friends, including Artime, were captured and imprisoned by Castro. When the Americans finally paid a ransom for the release of the prisoners, Artime called up Hunt to tell him the good news. "Feliz Navidad, amigo," said Artime. "I'm at Miami airport." ...A few day later, President Kennedy visited Miami where he met the survivors of the 2506 [the exile brigade] at a televised ceremony at the Orange Bowl. There, Pepe San Roman gave JFK the brigade's flag to hold for 'safekeeping'. Why did the Cubans, and by extension the CIA, hate Kennedy so much? He had made support for the Cuban exiles a major part of his electoral platform in the election of 1960, where he narrowly defeated Nixon. He made it virtually impossible for the CIA to conduct the covert operation (codenamed Zapata) by insisting on iron-clad deniability. When they launched an air raid against Castro airfields in the run up to the invasion, using planes painted to look like Cuban air force bombers, the cover was blown. The planes landed back in Miami, but one of the pilots was quickly identified as a member of the exile brigade, and the plane had nose guns demonstrating that it was in fact an American B-26, not a Cuban one. Kennedy called off the second air raid, which could have completely destroyed what was left of the Cuban air force. As it was, they still had three Mig fighters. When the invasion came the exile-piloted B-26s circled over the beach where the brigade landed. This made it impossible for Castro to bring up tanks, heavy artillery, and large numbers of troops in case they were bombed en route to the battle. The handful of remaining fighters were launched shortly after dawn, and took on the sluggish and large targets that the B-26s presented. Five were shot down and the rest so badly damaged that they had to retreat. The brigade's communcations ship and supply ship were sunk, leaving them desperately short of supplies. Kennedy refused to send in the US armed forces, nestled a few miles away for a 'training exercise' in the Carribean. The Cubans, the CIA and the US military all had grudges to bear with Kennedy, blaming him for the brigade's failure and subsequent surrender. Any one, or possibly all of them, may be to blame for Kennedy's assassination two and half years later. Kennedy forced the resignations of or just fired the top three men at the CIA - Allen Dulles, Richard Bissel and Charles Cabel. Cabel's brother was the mayor of Dallas at the time of the Kennedy assassination, and Dulles went on to serve on the Warren Commission. Many of those still in the CIA who were somehow responsible for the failure, including Hunt, were moved to the newly created domestic operations division. This included the interception of phonecalls within the US, which is illegal. The responsibility for domestic law enforcement resides with the Department of Justice, the FBI and the police agencies, and a judge decides whether or not they can monitor phonecalls, at least until the Patriot Act was brought in. The domestic operations division were also involved in domestic propaganda, using journalists and publishers both to gather information and to try to manipulate public opinion. According to the 1975 Church Committee, which investigated the 'dirty laundry' of US intelligence agencies, Operation Mockingbird cost $265 million a year. According to a 1977 article by Carl Bernstein the operations included Joseph Alsop, Williarn Paley, Henry Luce, Arthur Hays Sulzberger, Barry Bingham Sr. and James Copley. Luce, most notably, was also a member of Skull n Bones and according to Hunt a 'good friend' of Allen Dulles. The media organs in some way used by the CIA included ABC, the NBC, the Associated Press, United Press International, Reuters, Hearst Newspapers, Scripps-Howard, Newsweek magazine, the Mutual Broadcasting System and the Miami Herald. According to the CIA's Family Jewels the operations also involved bugging journalists' telephones. It is interesting that the kinds of activities that would bring down the Nixon presidency began under JFK. Hunt retired from the CIA in 1970 and the following year was approached by Charles Colson, special counsel to President Nixon. They asked him to join the President's Special Investigation Unit, now more commonly known as the White House Plumbers, so called because they were there to stop the leaks. Of particular concern was the Pentagon Papers, a classified history of US political and military involvement in Vietnam prepared by the Department of Defense. It had been leaked to the New York Times by one of its contributing authors, Daniel Ellsberg, who made copies of the classified documents and the study based on them and handed them to reporter Neil Sheehan. The Times prepared a series of articles of extracts from the papers and commentaries on what they indicated, but Nixon got a court order to prevent them from publishing. Ellsberg then leaked the documents to over a dozen other newspapers, and the Supreme Court overruled the White House and allowed the Times to publish their work. For the burglary itself Hunt recruited Bernard Barker, and two Cubans named Felipe De Diego - a Bay of Pigs veteran - and Rolando Martinez - who had run sabotage operations inside Cuba as part of Operation Mongoose. Ultimately, the mission failed because though they successfully broke into the office, Barker and the Cubans were unable to find any files relating to Ellsberg. The burglary crew opened medicine cabinets and had strewn materials all over the floor and a few days later the local police arrested a drug addict who conveniently confessed to the Plumbers' crime. That was in 1971, and the following year was a presidential election year. Nixon had taken the White House at the second attempt. Having been beaten by JFK in 1960 he also he failed in a 1962 attempt to become governor of his home state of California, then announced his retirement from politics, before staging a comeback to take the big job. However, he had steadily become intensely paranoid, and though he retained a large amount of the support that had seen him elected President, he believed there were dark forces working against him. The Plumbers were enlisted to try to help Nixon, and were largely funded by the Committee to Re-Elect the President, also known as CREEP. Project Gemstone was born - a multi-facted covert operation designed to not only gather intelligence on what the Democratic party were up to, but also to try to influence public opinion and therefore the election result. This included various subprojects named after precious stones. Gemstone culminated in the break-ins at the Watergate hotel and office complex in Washington DC, where the Democratic Party's National Committee (DNC) had its headquarters. The team comprised Hunt, Barker and Liddy, two anti-Castro Cubans named Virgilio Gonzalez and Eugenio Martinez, a former CIA security specialist Jim McCord, and former CIA agent Frank Sturgis. Hunt, Barker, the Cubans and Sturgis all went back to Operation 40 and the Bay of Pigs invasion. The aim of the break-in was to photograph documents detailing Democratic campaign contributions in the hope of finding a connection to Castro or the Soviets, and to bug the office and phone of Larry O'Brien, the chairman of the DNC. The first attempt failed because Gonzalez, a locksmith by trade, didn't have the right tool to pick the locks and allow access to the DNC offices. The second attempt largely succeeded, but the entry team photographed the wrong documents and McCord cocked up the bugging part of the operation. The third attempt was the big one. Not only were the entry team arrested, the entire White House covert operations team was uncovered, eventually forcing Nixon to resign and precipitating a series of inquiries into the actions of the US intelligence services. The team broke in on the night of 17th June 1972 and were discovered due to a sloppy mistake. The technique developed during the earlier break-ins was to have McCord sneak into the Watergate complex through the garage doors, and tape open the locks on doors allowing the others access to a staircase and thus the floor containing the DNC's offices. This was common practice among cleaners and maintenance crews, but a security guard found the doors taped open, removed the tape and then found them re-taped again hours later. He alerted the police, who located and arrested the entry team. Liddy and Hunt escaped that evening but phone numbers and the money trail led the FBI to both of them. Though Nixon was allowed to retire and his successor, Gerald Ford, gave him a full pardon the Watergate burglars were imprisoned. Hunt served 33 months, by which time his wife had died in a plane accident and he had essentially been bankrupted. Also imprisoned were several White House staffers, including White House counsels John Dean and John Ehrlichman, Nixon's Chief of Staff HR Haldemann, deputy director of CREEP Jeb MacGruder and Attorney General John Mitchell. The Watergate scandal not only brought down a presidential administration and virtually ruined Hunt's life, it was also the basis for the Church Committee's investigation into illegal activities by US intelligence services and the Rockefeller's Commission's investigation into CIA activities within the US, both in 1975. President Ford reacted to the discoveries of these inquiries by enacting Executive Order 11905, which amended the National Security Act of 1947 by providing greater oversight of intelligence agency activities and banning political assassinations. Whether the CIA and the rest of the US 'intelligence community' really paid any attention is a matter of some dispute. The public pressure arising from the information reported by the two inquiries, particularly the Church Committee, led to the House Select Committee on Assassinations (HSCA), formed in 1976 and lasting until 1979. The HSCA looked into the killings of President John F Kennedy in Dallas in November 1963, and Martin Luther King Jr. in Memphis in April 1968. Hunt testified before the Rockefeller Commission and the HSCA about his alleged role in the Kennedy assassination. Writers, in particular Tad Szulc, had written about infamous photographs taken in Dealey Plaza of three men that were arrested shortly after the shooting of JFK. The photos of these tramps have been the subject of tremendous debate. Howard Hunt is allegedly the third man (L-R), the one wearing a hat. The first two men have been widely identified, perhaps correctly, as Frank Sturgis and Daniel Carswell (Carswell was also CIA). Sceptics, including Oliver Stone in his movie JFK, have pointed out that two of the men look quite young to be homeless in 1960s America, that all three men are clean shaven and the two whose hair can be seen shows it to be well kept. They appear to be wearing mostly new clothes with little or no sign of dirt, wear or fraying, and that if you were not told they were vagrants they wouldn't stand out as such. That they were arrested, questioned, and then released has caused some to suspect they were protected assets of the intelligence services involved in the assassination. Hunt denied that he was in Dallas that day, affirming to both the Rockefeller Commission and the HSCA that he was at home in Washington on the day in question. He tells a tale of being out shopping for groceries when he and his wife heard about the shooting. They then collected their son from school, went home and watched the rolling TV coverage as events unfolded into the evening. However, this now appears not to be true. Though Hunt re-affirmed this version of events in his autobiography, published shortly after his death in January 2007, he sent his son St John Hunt a tape recording in 2004 making an extensive confession, and telling his son to release the recording after his death. Howard Hunt claims that he was in fact in Dallas that day, as a 'benchwarmer' rather than a key player in the assassination. He named then vice-President Lyndon Johnson as one of the main men behind the plot, and identified Cord Meyer and William King Harvey of the CIA as its progenitors. Harvey in particular played a key role in Operation Mongoose, the Pentagon-CIA plan to kill Castro (among other things). As picked up by Oliver Stone's movie Nixon, there is a suspicion that Mongoose 'got turned around' and became the vehicle for the Kennedy assassination, a suspicion held by Richard Nixon himself. The story of Hunt's confession was first picked up by Prisonplanet and then by Coast to Coast radio. However, it has not gained any notable coverage in mainstream news media. His son St John offered his opinion on the tramp photographs, saying that the third man looked much like his father did in the early 1960s. But people quite often confess to crimes they haven't committed, such at the LA drug addict who said he broke into Ellsberg's psychiatrist's office. There is also the issue of why Hunt went to such lengths in his 2007 book to deny his involvement in the assassination when he knew he was dying and therefore that soon after his son would make his recorded confession a matter of public knowledge (at least to those who bother to look for such things). Most publishers would jump at the chance to publish an irrefutable posthumous confession by a CIA agent. It's ideal from a legal point of view because it can't be proven true or false because the guy making the confession is dead, the publisher doesn't even have to claim the confession as true in order to get people interested. Kennedy assassination theories are the most commonly believed type of conspiracy theory, with the possible exception of those concerning 9/11, so it is a guaranteed money maker, a very rare thing in publishing. However, put against that Hunt knew of the CIA's infiltration of the publishing industry, and so if he had told his book publisher what he told his son then there was a reasonable chance of the CIA finding out his intentions. In any case, his book was edited by the CIA before publication, and so is perhaps not an authentic representation of Hunt's view of his own life. Hopefully some of these issues will be discussed in Alex Jones's forthcoming Kennedy assassination movie, which features St John Hunt in extensive interviews, alongside long-term investigator Jim Marrs. Though there is no release date available yet the preview indicates that it expands on the theories put forth in the mainstream films Executive Action and JFK.